The Emerald has served the University of Oregon with news and information since 1900. Their mission is to train students, serve the UO community and run a financially sustainable nonprofit business. 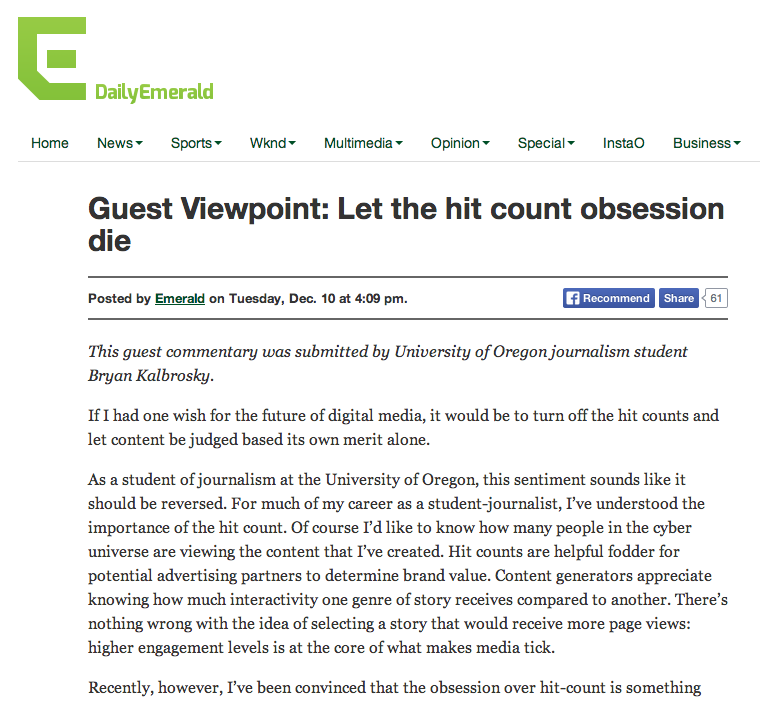 Bryan had a letter to the editor published online in Winter ’14 following their coverage of the Oregon football snow ball fight on campus. Bryan offered constructive criticism of their coverage.